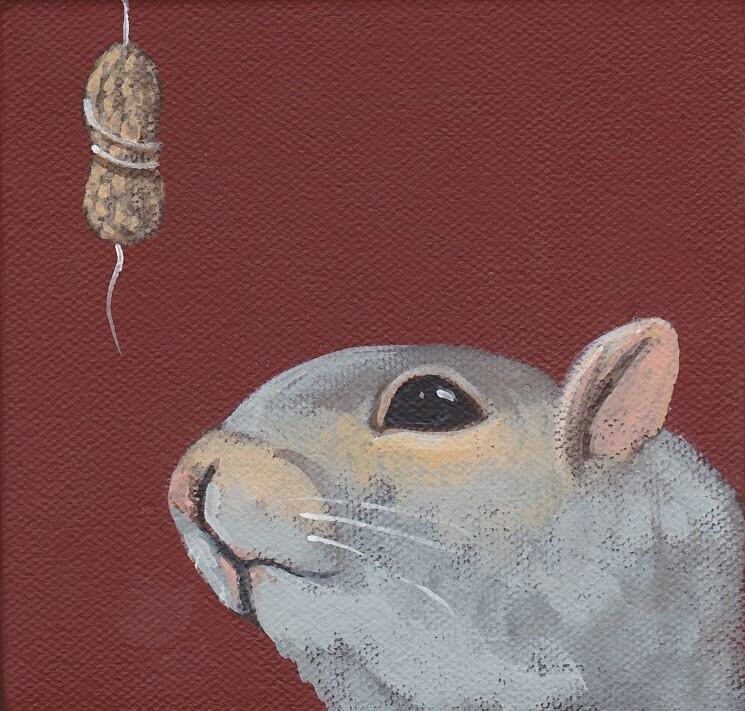 This little guy is living in hope that the peanut will drop right into his mouth! Each notecard measures approx 4' x 5" and comes with a matching envelope in a cello sleeve. Have you fed your squirrel today?